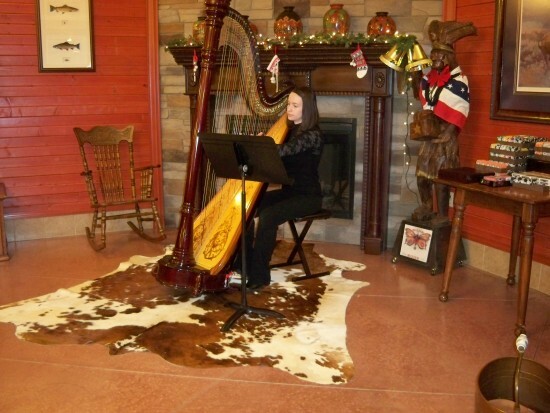 Lydia Haywood is a professional harpist and has been performing for special events since December 1999. She has the expertise and experience to add an elegant touch to your special day. Lydia has performed well over 800 times in Columbus and the surrounding areas and has recorded 3 CDs of her beautiful music. 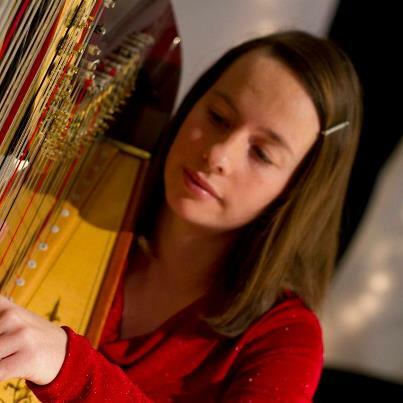 In addition to performing, she also enjoys teaching harp and piano lessons. Lydia is available to play for your wedding, reception, dinner, party, open house, tea, or other special event. She would love to work with you and help make your day extra special. Visit her website to hear music samples and find out more. Contact Lydia today! Lydia's music made the event special. She was very professional and punctual. This allowed me to relax and enjoy the service. Exceeded expectations. Only thing I can think to mention, is the wedding march as the bride came down the aisle could have been louder. Not sure with just a harp, if that is even possible. We are pleased that Lydia participated in the celebration of Highlands Presbyterian Church Scottish Heritage event on 12/1/13. The Celtic Harp was a fluid and eloquent contrast to the bagpipes which also participated. Lydia performed traditional Scottish melodies with style, precision and grace. We highly recommend her. Lydia Hayward was not only courteous, professional and easy to work with but she also provided a wonderful element to our special event. The atmosphere was greatly enhanced by her beautiful music. It was uplifting and really set the mood for a great evening. Lydia's Music and Heart are Beautiful! We recently had Lydia play for our church service. She played gathering music, offertory, special solo, and music during communion. She was gracious, extremely gifted, and sensitive to the worship environment. Her selections were perfect. We received many, many compliments about her playing (and I think she sold several CD's!). We look forward to having her return again in the future! Dinner for 50 and the highlight was Lydia Haywood. reasonable and just a true professional. 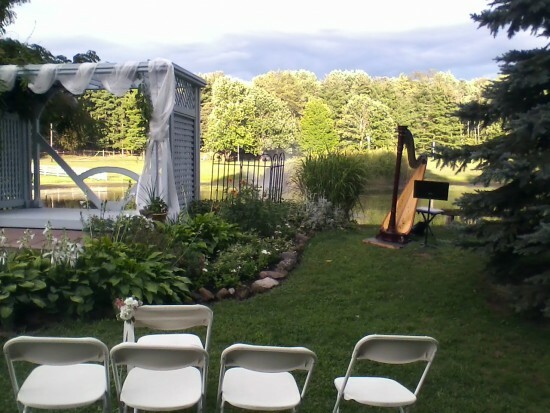 We had Lydia play her harp at our wedding ceremony outside in hocking hills, Ohio. Her music was very good and created the atmosphere we were hoping for. Lydia's music is beautiful, and she is absolutely a pleasure to work with--very accommodating and professional. I heartily would recommend her for any wedding (or other occasion). She made our daughter's wedding ceremony very special.